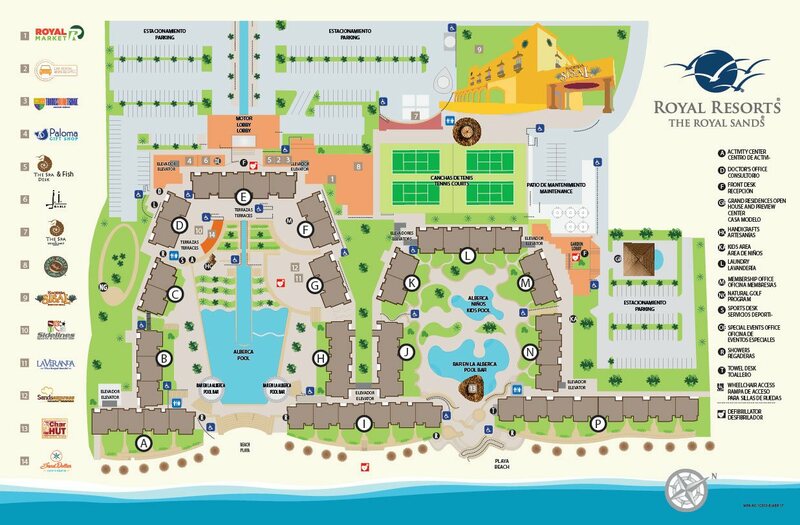 Located in front of the most beautiful beaches of the Mexican Caribbean, there is one of the best resorts in Cancun, The Royal Sands Resort & Spa All Inclusive. With a simple yet elegant design, this All-Inclusive beachfront hotel boasts wonderful views from any angle of its exceptional buildings. Inside its exclusive suites and villas you'll find everything you need to rest and relax, and out of them, you will discover a world of fun activities, delightful restaurants and bars, swimming pools for children and adults, and a beautiful beach of white sand facing a sea of intense blue colors. Live an unforgettable experience in your next vacation in this magnificent All Inclusive Cancun Resort. The best accommodation in Cancun is waiting for you to live the ultimate in comfortable resting in the suite or villa of your choice. Enjoy the large and pleasant spaces of The Royal Sands accommodations. With our Refine All Inclusive plan, delight yourself with delicious dishes and discover the best views of the Caribbean from your room. A delightful experience awaits you in the international and Mexican restaurants serving the best of their delicacies at The Royal Sands resort in Cancun. Choose between sushi and delicious buffets, meats, salads and pizza, you will love them all; and don't forget to visit our swimming pool bars while enjoying the nice view. Nobody will have time to get bored at The Royal Sands Resort & Spa All Inclusive, because we have a wide range of activities and tours in Cancun for children and adults, which we are sure will make you live an incredibly fun vacation experience. Visit our Travel agency desk by the lobby and learn about all the entertaining options we have for you and your family. The Royal Sands is the best place to live a relaxing experience in one of the best beaches in Cancun. Unwind on the beach or by the pool, work out at the Fitness Center, play tennis or relax at the world class Spa. Location Kukulcan Boulevard Km 13.5, 77500. Cancun Hotel Zone, Quintana Roo , Mexico. The Royal Sands welcomes you to Cancun with a unique and exclusive All Inclusive Plan. 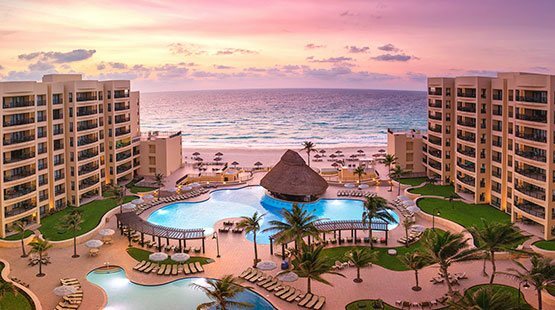 This All Inclusive resort in Cancun has everything you need so that you and your companions focus only on relaxing, having fun and enjoying the best family vacation.